To clean vinyl siding, you will hose it down with a garden hose. The hose should have a spray nozzle or a pressure washer because this gives you the best results. Many times you can set the pressure washer to medium to remove the dirt and grime on the home. Before you begin with a pressure washer, make sure you set the spray pattern to wide enough to keep damage from occurring. 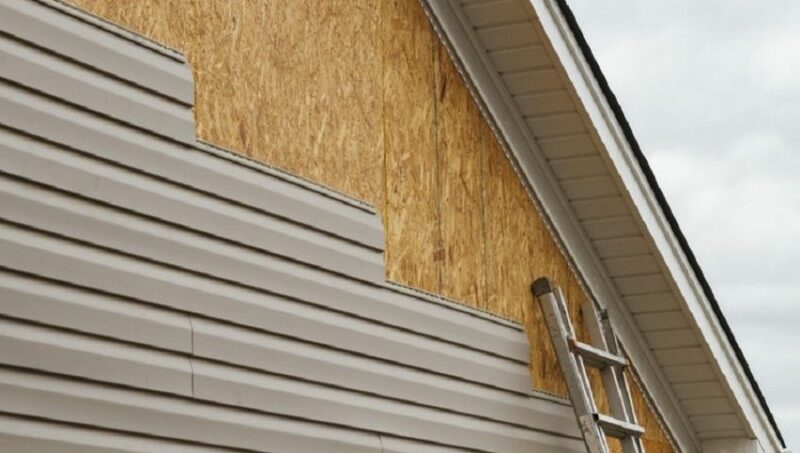 If you’re going to do a vinyl siding Calgary job, you may want to add a specialized cleaning solution. You will need 1 gallon of water, 2/3 cup of TSP cleaner and 1/3 cup of powdered laundry detergent. You dip the extended handle of the brush into the solution and scrub the vinyl. Begin with the bottom and work your way up. You should never forget to rinse away the cleaning solution with a garden hose. Start from the top and slowly work your way down. If you have mildew or mold, apply a mold and mildew cleaner for the vinyl siding before this step. In some cases, eavestrough services can keep the vinyl clean. You don’t necessarily have to know how to take care of vinyl siding without scrubbing. These are some of the options available, and the spray nozzle choice doesn’t involve scrubbing. Instead, you spray the siding and work with it.